Unquestionably, one of the most talented pairs in show business history. 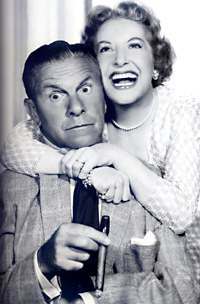 Deadpan George Burns and scatterbrained Gracie Allen. Of note, Gracie never saw herself as a comediene, but rather as an actress. Well, you could have fooled us. Gracie would get into all these situations, and then George would just turn to the camera and calmly explain. There were a bunch of actors playing Harry Morton, husband of Gracie’s best friend and neighbor, Blanche. When Fred Clark left the role, George Burns just told the audience it was because he wanted too much money! 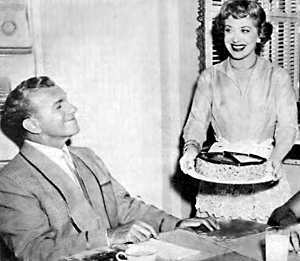 Gracie Allen retired in 1958 and George tried it on his own but it just wasn’t the same. Burns got coaxed back to TV briefly in 1985 to host The George Burns Comedy Hour. He was nearly 90 at the time! What is best remembered is the closing. Gracie Allen died in 1964 of a heart attack. George Burns died in 1996. He was 100 years old.